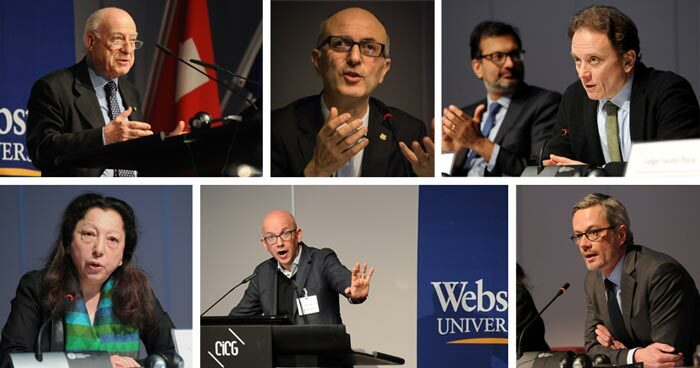 Webster University Geneva’s Department of International Relations, together with the Webster Humanitarian Association (WHA), held its 21st International Humanitarian Conference (IHC) on Feb. 18-19, 2016. This year’s Conference entitled “Toward the World Humanitarian Summit” aimed at addressing topics of the first World Humanitarian Summit (WHS), to be held in Istanbul on May 23-24, 2016. This year’s IHC was led and organized by Oreste Foppiani, head of Webster Geneva’s International Relations’ Department, who worked in close cooperation with the United Nations High Commissioner for Refugees (UNHCR), the International Committee of the Red Cross (ICRC) as well as with faculty, staff and students of the university. As in previous years, the conference was held under the auspices of the Government of the Republic and Canton of Geneva. 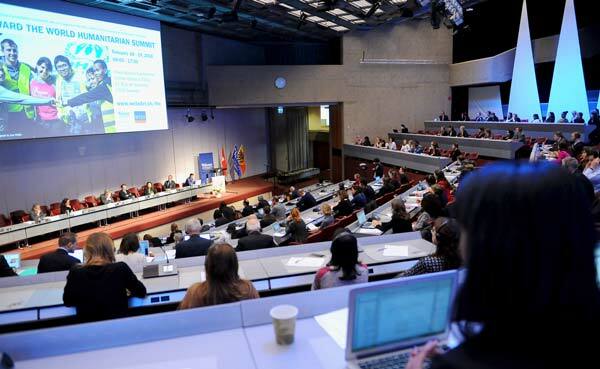 The conference hosted over 40 distinguished panelists and speakers, including practitioners, scholars, members of the Geneva-based international community and representatives of civil society. The conference attracted 350 participants. The aim of the IHC was to discuss and assess the key issues on the agenda of the first World Humanitarian Summit, a UN Secretary-General initiative: Improving the Efficacy of Humanitarian Action, Reducing Human Vulnerability and Risk, Transformation and Innovation in Humanitarian Action, Meeting the Need of People in Conflict Situations. While the speakers addressed the crises affecting millions of people in need of humanitarian assistance, several panelists underlined the critical impact that individuals can have on today’s events. On Feb. 18, the keynote speakers Yves Daccord, director-general of the International Committee of the Red Cross (ICRC), and Fausto Pocar, president of the international Institute of Humanitarian Law (IHL) and judge of the UN International Criminal Tribunal for the former Yugoslavia (ICTY), offered some answers to Coutau’s question. Return conference speaker Nicola Carlone, head of the Plans & Operations Department, Italian Coast Guard HQ, talked about the role of NGOs and the Italian Coast Guard in the mass rescue operations held in the Mediterranean. While the general population has been made well aware of plight of immigrants off the Italian coasts, thanks to extended media coverage, in his presentation, Carlone provided precise data to illustrate how the number of persons rescued continued to rise over the past year.